But you can still participate! Saturday, May 5 is Car Club Day! ​Car Clubs from throughout North America will display their cars on the Concours Showfield. Car Clubs will have a designated area surrounded by their club members. PRE-REGISTERED Car Clubs participants will be parking in the very same picturesque positions as the Concours Cars the following Day. Each spot is has been hand selected for some iconic photos. The cost is $50 per car (2 people). The price also includes one ticket to Sunday's Concours. The deadline to register is Monday, April 30. Patron admission for Car Club Day is complimentary. Whether you love horses or horsepower, we have you covered. 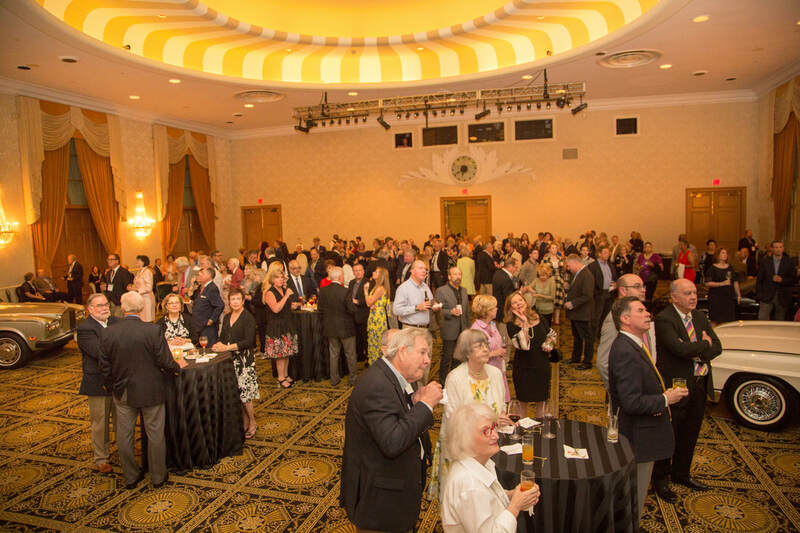 The Charitable Reception will provide an opportunity for participants and visitors to The Greenbrier Concours d'Elegance to come together for an evening of fine food and drink and celebrate this inaugural event. Live music will provide a festive atmosphere as guests sample selections prepared by the world renowned culinary experts at America's Resort and sip on their favorite cocktails at an open bar. The Kentucky Derby will be on display on a giant screen, giving attendees an opportunity to cheer on their favorite horse as they sip on The Greenbrier's signature mint julep.